Our offices in both Heckmondwike and Mirfied offer friendly, knowledgeable legal service to all our clients. Each case is dealt with sensitively and professionally and you will have a clear point of contact and be kept informed at all times. Whatever legal neds you have contact us for a no obligation chat as to how we can help. Contact our friendly team on 01924 403809 (Heckmondwike) or 01924 489197 (Mirfield). and aim for the highest levels of client satisfaction. Would definitely recommend anyone give him a try. much to Nick and team. No hesitation in recommending them. Contact us today to speak to one of our legal experts. one of our friendly team on 01924 403809 (Heckmondwike) or 01924 489197 (Mirfield). At Haighs solicitors, based in Mirfield West Yorkshire we take a slightly different approach to conveyancing. Our client focussed service ensures all parties are up to date with every development from start to finish. This friendly, informative approach to conveyancing not only minimises the stress involved in buying or selling a property but helps ensure the whole conveyancing process runs smoothly and as quickly as possible. Buying or selling a property can be stressful; often moving along the housing ladder involves many transactions which seem out of your hands. In these circumstances, it is easy to feel a lack of control in a process of great emotional and financial significance. Our offices are conveniently located in the centre of Mirfield not far from Huddersfield and have parking nearby. Our friendly staff will be able to advise you on the best course of action whether you are wanting to sell a property, buy a property, streamline a chain, re-mortgage, transfer equity or set up Deeds of gift. As of 15th November, Haighs Solicitors have acquired Stanley Hays Solicitors, and will be recognised as Haighs Solicitors inc. Stanley Hays. The Heckmondwike office will remain open at the same address and telephone number with Richard Walker remaining present. The client account bank details will change, and new details will be provided when necessary. We must advise our clients that that they can choose to transfer any current instructions to Haighs Solicitors (in which case there will be no disruption to the ongoing work) or clients can change to any other firm of solicitors of their own choice. We will assume that the receipt of any further instructions in any ongoing matter will constitute consent for Haighs Solicitors inc. Stanley Hays to continue acting in place of Stanley Hays. Title deeds and wills held in safe storage continue to be held at the Heckmondwike office. We would remind clients that you can collect or inspect your documents, by prior arrangement should you wish to do so. We do not charge for storage, but banks and other solicitors may do. We thank our much valued clients for trusting Stanley Hays with your legal work in the past and we are sure that Haighs Solicitors inc. Stanley Hays will provide the same efficient service in the future. If you would like more information about how Haighs Solicitors inc. Stanley Hays can help you then feel free to contact one of our friendly team on 01924 403809 (Heckmondwike) or 01924 489197 (Mirfield). All of us at Haighs Solicitors would like to start by congratulating our trainee solicitor Charles Knapman, as he became a fully qualified solicitor on 1st November. Charles has trained and worked with us over the last 18 months, and we look forward to his continued work with the rest of the team as a fully qualified colleague. With our expert assistance, we will ensure that everything runs as smoothly as possible and that every decision you make is fully informed. If the Lasting Power of Attorney needs to be used, we will guide you through the process and ensure that it can be used with as little difficulty as possible in what is a stressful time for everyone involved. · Property and Financial Affairs LPA: This will allow your attorney to manage your financial affairs. · Health & Welfare LPA: This allows your attorney to make decisions about your health and welfare such as medical and life-sustaining treatment. Our assistance can help to ensure that everything runs as smoothly as possible and that every decision you make is a fully informed decision. If the Power of Attorney needs to be used, our expert assistance helps to ensure that it can be used with as little difficulty as possible in what is a stressful time for everyone involved. We know at a time of grief you need a sensitive, professional firm of solicitors. Here at Haigh’s we ensure minimal stress and hassle and offer a comprehensive service. A Grant of Probate authorises the executors to deal with the affairs of someone who has died, and it is therefore vital to ensure that a Grant of Probate is obtained correctly and as quickly as possible. Conveniently located in Mirfield on the outskirts of Huddersfield our comfortable offices have free parking nearby. Call or email to have a friendly consultation with one of our experienced solicitors. Buying or selling a property can be stressful; often moving along the housing ladder involves many transactions which seem out of your hands. In these circumstances it is easy to feel a lack of control in a process of great emotional and financial significance. At Haighs Solicitors we are committed to making everything as stress-free as possible for you by providing a quality service from start to finish, by keeping you informed of every development and thereby ensuring that your transaction runs as smoothly as possible. 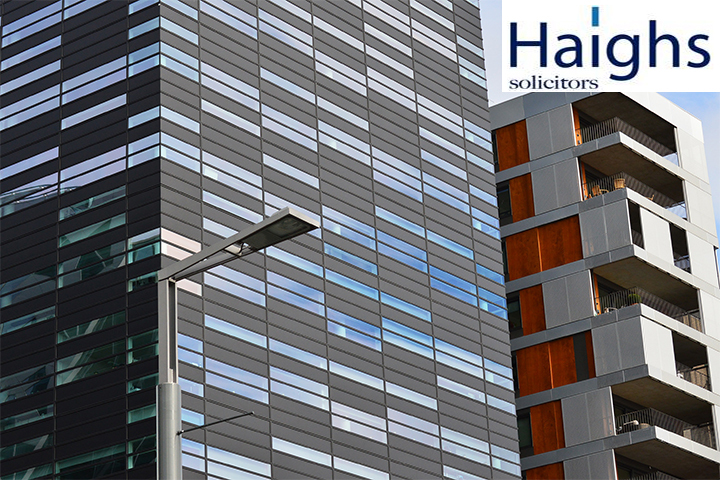 Whatever your legal needs, Haigh’s offer an accessible, easy to deal with service as we know many our clients have a hectic life style. You can phone, email or even arrange an appointment at our office. Contact us today to discuss your legal needs. 01924 489197 or email nick@haighssolicitors.co.uk. We believe our friendly, local practice always offers a second to none service. Being accessible, easy to deal with and caring our experienced solicitors deal with every client individualy. Every case and person is different so we tailor our service to your exact needs. This is the difference that makes us a good choice for conveyancing, wills and probate, lasting power of attorney, commercial property, business sales and acquisition in the Mirfield and Huddersfield area. The wealth of experience we offer ensures our level of service remains high and our clients needs are met every time. Our entry in the law society in respect of the Law Society Conveyancing Quality Scheme. Contact us today to discuss your legal need. 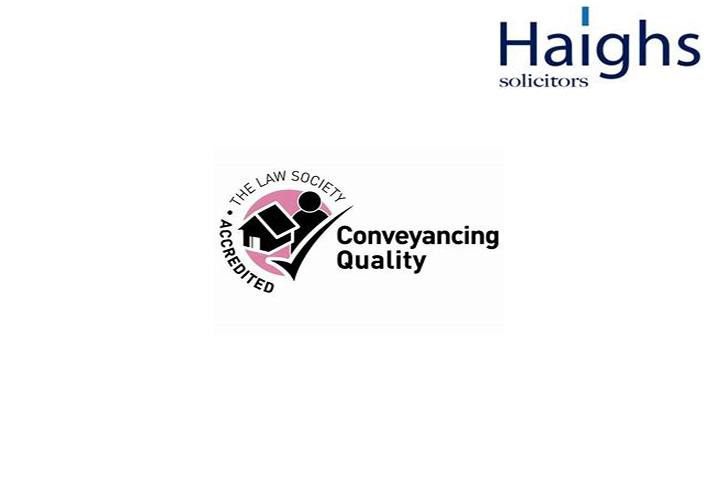 At Haighs Solicitors Mirfield we have been accredited under the Law Society Conveyancing Quality Scheme due to our excellent conveyancing service. We offer a comprehensive service in respect of selling property, buying property, streamlining a sale of your current property and purchase of another, re-mortgaging, transfer of equity, and deeds of gift. At Haighs solicitors we offer a comprehensive service to those either buying or selling a business. It is essential good sound legal advice is sought to ensure a smooth as possible transaction takes place. There are many factors to take into consideration when buying or selling a business with every transaction bringing unique issues. Any sale or purchase of a business can be daunting so having a friendly knowledgeable legal firm like Haighs is essential. If you’re looking to sell or buy a business or wish to get some advice in relation to these transactions, please call Nick on 01924 489197 or email nick@haighssolicitors.co.uk. At Haighs Solicitors Mirfield we are proud to announce we have been accredited under the Law Society Conveyancing Quality Scheme – a mark of excellence, awarded by the Law Society, in the field of conveyancing. Whether you are are buying, selling or renting a home we offer the very best service. Business property leases can be daunting and complex arrangements. That’s why you need a firm of solicitors like Haighs. With a wealth of knowledge and experience, we endeavour to offer the very best advice whilst making the process happen as quick as possible. At a traumatic time such as the death of a loved one it is a comfort to all if a will is in place. A Will ensures that, after death, your estate (cash, property, possessions) are distributed in accordance with your wishes. A Will does not have to be too complicated or confusing, although it is important that you take expert advice from your solicitor. This avoids any unexpected issues and ensures that you leave your affairs as organised as possible. A well drafted Will can provide benefits such as tax savings but, without one, there can be a lot of unnecessary heartache as there are strict laws dictating what will happen to your estate if you die intestate –(without a Will), your partner could be forced to sell your home or it could pass into the hands of distant relatives instead of the people who are close and important to you. · Who will look after your children? · Who will deal with the administration of your estate? · Who will inherit your savings? · Who will receive personal possessions such as jewellery and family heirlooms? · How your estate is divided? · How will your funeral be paid for? · What are the tax implications? 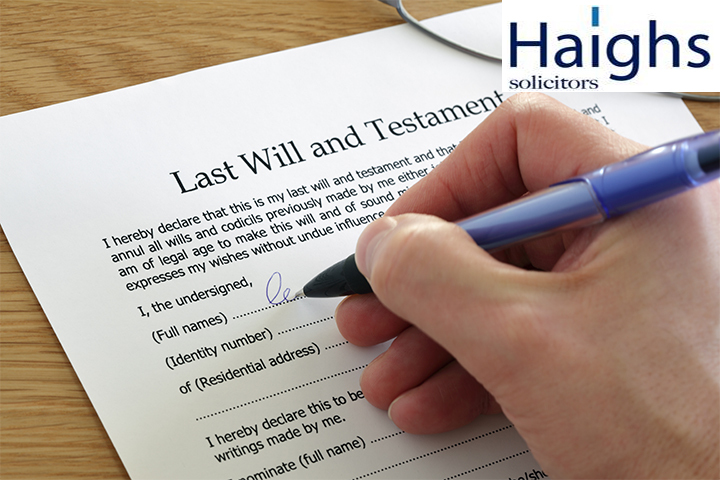 If you are considering making or amending a will contact us today for a no obligation chat. Happy New Year from everyone at Haigh’s Solicitors in Mirfield. With the new year arriving you may be thinking of moving to a new home. 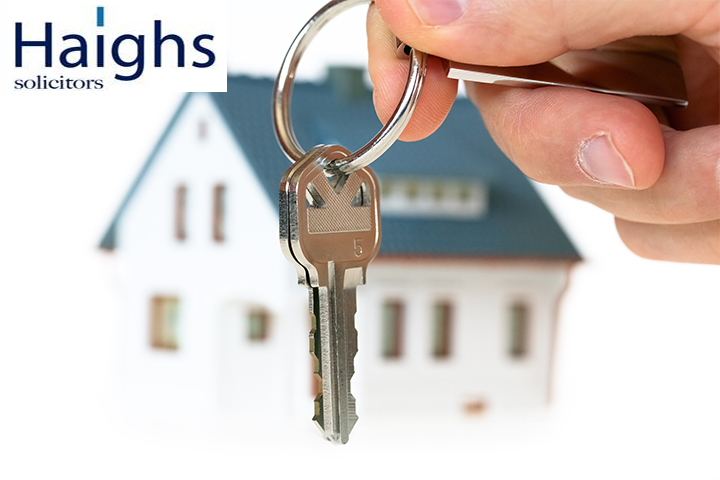 Here at Haigh’s we have a raft of expertise in property conveyancing and can guide you through the process. Our aim, as with all our legal services is to provide a sympathetic, highly professional and personal service. At our offices, which are conveniently located in the centre of Mirfield our legal experts are on hand to help steam-line the sale of your current property with the purchase of another. In-fact whether it’s selling a property, buying a property, re-mortgaging, or transfers of equity we have the service for you. With many years of experience our team are approachable, friendly and above all highly qualified. Give us a call today if you need help with any sort of property conveyancing in Mirfield, Upper Hopton, Ravensthorpe, Kirkheaton or indeed anywhere in Kirklees. At Haigh’s we aim to take the stress out of acquiring or selling a business. Our knowledgeable, friendly staff can ensure your fully informed and protected from the effects of the transaction. When a business is bought or sold there are several component parts that need to be thought about. This prospect might seem daunting but at our Mirfield office we can give expert advice and carry out all aspects of commercial transactions. With many years of experience in house we aim to make any commercial transaction as simple as possible. Centrally located in Mirfield our offices are easily accessed from Huddersfield, Almondbury, Dewsbury, Batley and indeed Brighouse. Our clients come from all over Kirklees for our professional, friendly legal services. 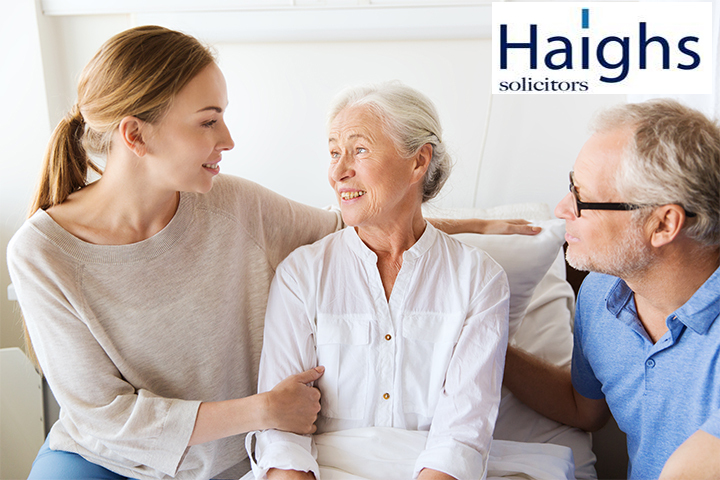 At Haigh’s solicitors we understand creating a lasting power of attorney can be a stressful thought. With our expert, sensitive advice we can guide you through the process and ensure everything runs as smoothly as possible. A Lasting power of Attorney has several very important benefits which can ease the burden on loved ones later in life. This may include decisions which need to be made about your finances or your health and welfare but which you may become incapable of making. Unfortunately, none of us can guarantee that we will remain physically and mentally capable for the rest of our lives and it is therefore essential that you take expert advice and explore the options available to you. Whether it’s a Property and Financial Affairs LPA which will allow your attorney to manage your financial affairs, or a Health & Welfare LPA which will allow your attorney to make decisions about your health and welfare such as medical and life-sustaining treatment. The experts at Haigh’s can guide you and make sure you have the correct document in place. Conveniently located in Mirfield with parking close to our office we help clients from all over the local area including: Clifton, Dewsbury, Heckmondwike, Huddersfield and indeed from all over Kirklees. At Haighs solicitors based in Mirfield we take a slightly different approach to conveyancing. Our client focussed service ensures your up to date with every development from start to finish. This friendly, informative approach to conveyancing not only minimises the stress involved in selling a property but helps ensure the whole conveyancing process runs smoothly and as quickly as possible. Buying or selling a property can be stressful; often moving along the housing ladder involves many transactions which seem out of your hands. In these circumstances, it is easy to feel a lack of control in a process of great emotional and financial significance. Our offices are conveniently located in the centre of Mirfield and have parking nearby. Our friendly staff will be able to advise you on the best course of action whether you are wanting to sell a property, buy a property, streamline a chain, re-mortgage, transfer equity or set up Deeds of gift. At a time of grief, you need a caring, professional solicitor to ensure your loved one’s estate is managed and distributed on their death in a timely manner. Here at Haighs solicitors in Mirfield we try to eliminate the stress from this process using our professional yet understanding approach. With many years of experience, we can guide you through the whole process. Dealing with unpaid debts; and Distributing the assets. Our service aims to minimise heartache from the Probate process and ensure the state is distributed as quickly as possible. Based in Mirfield with parking nearby we have a ground floor office and meeting room where we can discuss your probate needs and give you peace of mind. At Haighs Solicitors Mirfield we pride ourselves on our professional yet approachable legal service. We take every step possible in providing a caring service to all our clients at all times. Our highly qualified solicitors are experienced in dealing with sensitive cases and aim for the highest levels of client satisfaction. A really efficient yet personal service. The team made an emotionally difficult subject as simple as was practically possible. Their communications were timely and clear and all promises were kept. Prices were keen too. Thanks very much to Nick and team. No hesitation in recommending them.